SALT LAKE CITY (CNS) — By reinstating the use of a firing squad as a method of execution in Utah, “it seems as if our government leaders have substituted state legislation for the law of God,” said the state’s Catholic bishop. “The real issue here is the death penalty itself,” he said. A day earlier, Republican Gov. 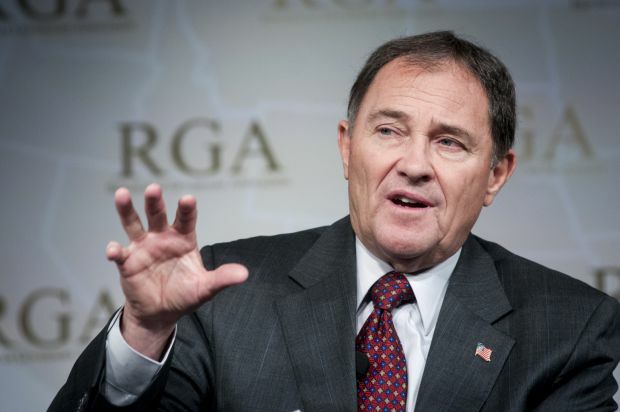 Gary Herbert signed into law a bill that reinstates execution by firing squad for those convicted of capital crimes. It was passed by the state Senate March 10 and by the state House in February. Utah’s lawmakers argued they needed a backup method of capital punishment if the drugs used in lethal injection are not available. There is a shortage of lethal drugs for executions and their use in carrying out the death penalty has become more controversial after the botched execution of Clayton Lockett in Oklahoma; he writhed in pain for 40 minutes before dying of apparent heart failure. Bishop Wester said he was “very disappointed” that Herbert signed the measure on firing squads. Utah is now the only state that has the firing squad as a method of execution. The Associated Press quoted Herbert’s spokesman as saying that enforcement of capital punishment is “the obligation of the executive branch. “We regret anyone ever commits the heinous crime of aggravated murder to merit the death penalty, and we prefer to use our primary method of lethal injection when such a sentence is issued,” spokesman Marty Carpenter said.